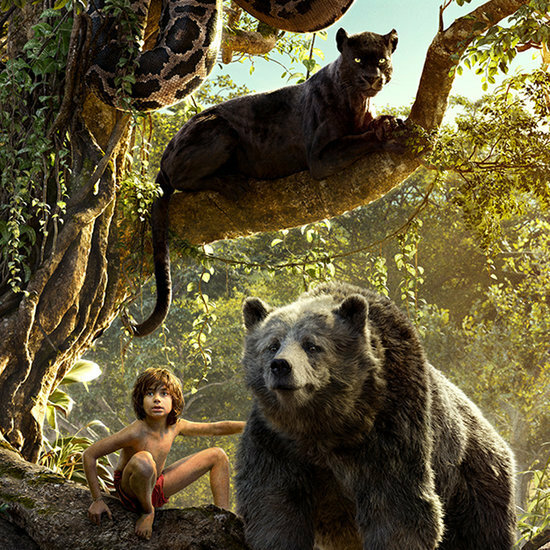 Disney revisits its retelling of Rudyard Kipling’s tale of Mowgli, Baloo and Bagheera in The Jungle Book. 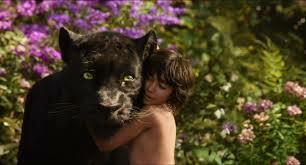 Mowgli is a young human boy who was found, abandoned, by a panther named Bagheera. Bagheera brought Mowgli to the wolves Akela and Rashka, who raised him as their own. 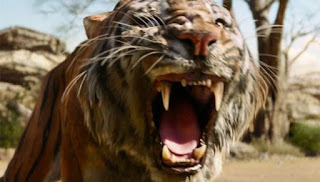 However, when a drought brings all of the animals together for water, Mowgli is discovered by Shere Kahn, a tiger who hates humans because a human (acting in self-defense) burned Shere Kahn’s face. Shere Kahn promises that the jungle will not be safe until Mowgli is dead. Akela and Rashka entrust Mowgli to Bagheera, and Bagheera sets off to return Mowgli to the human village. When they are separated, Mowgli falls into peril, but is rescued by the carefree bear Baloo. Mowgli wants to stay in the jungle, but it’s uncertain whether he fits in, and it’s quite certain that he is not safe. Mowgli is raised by Akela and Rashka. He also finds parent figures in Bagheera (who also takes credit for raising Mowgli), and to some extent in the carefree Baloo. Mowgli was found abandoned because his human father was killed by the tiger Shere Kahn. 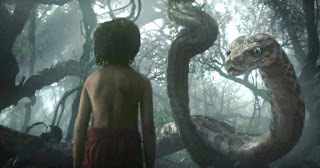 Mowgli was very young when the incident occurs, but a villain brings images of the attack and death to Mowgli’s mind, and to the movie screen. In order to keep the pack and Mowgli safe, the wolves that have raised him consider whether he should leave the pack. In a departure from the original film, Mowgli volunteers to leave to keep the pack safe. Although his mother Rashka protests, Mowgli leaves. Shere Kahn says some awful things about adoption that I’ll cover later in this review. Mowgli is ultimately accepted by the jungle family as one of their own, and also appreciated by the jungle family for his human identity. This seems to be a significant improvement over the original film. Mowgli is able to be both fully human and fully part of the jungle; both parts of his identity are honored by the end of the story. 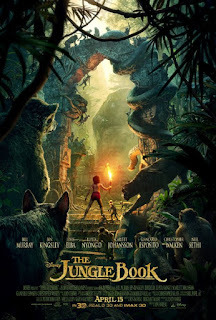 Mowgli is able to find success when he incorporates the skills he has because he is human (rather than wolf); he is also able to express that he identifies as a part of the jungle society and the wolf family, rather than part of the man village. Even in Mowgli’s absence, members of the pack wonder whether they could have saved him, and they express their regret that he is gone. Akela tells Mowgli not to do any human “tricks.” Interestingly, it’s a human trick that ultimately saves Mowgli. For a brief moment, it seems as though Mowgli’s wolf siblings are unsure of whether to accept him. 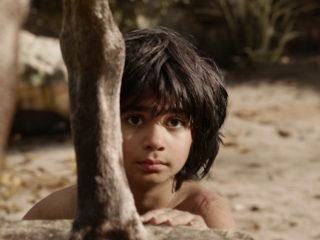 Mowgli experiences much loss of fathers. His birth father and his adoptive father are both murdered (on screen or just slightly off-screen) by Shere Kahn. He is also separated from Bagheera, and rejected at one point by Baloo. Akela’s death is startling and violent. Mowgli is also forced to revisit his father’s murder. Perhaps the most potentially damaging parts of the film are words spoken about adoption by Shere Kahn. He asks Akela, “When was it that we came to adopt man into the jungle?” In an attempt to turn the wolf cubs against Mowgli, Shere Kahn tells them a story. I can imagine it being very painful and potentially damaging to young viewers touched by adoption. The story is about a cuckoo bird. According to Kahn, the cuckoo puts his eggs into the nests of other birds. Then, the other mother hatches the cuckoo, and treats it as her own bird. However, the other chicks do not have enough food because their mother is taking care of the cuckoo chick. Kahn ends his story, saying that “her own chicks starve and die all because a mother loved a chick who was not her own.” The lines are spoken by a villain, but the sharpness of them could still surprise some viewers. There isn’t an easy answer for The Jungle Book. 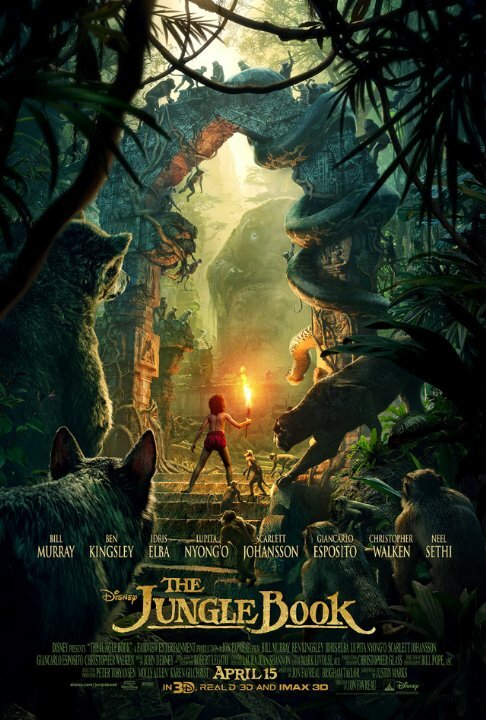 This retelling of the story does an excellent job of leaving Mowgli at a healthy place – fully human, fully part of the jungle. It also has some very traumatic parental deaths, and perhaps the unkindest words about adoption in recent movies. Some viewers, regardless of age, will be put off by some aspects of this film. On the other hand, the film does end up in a healthy spot. I wouldn’t recommend it for kids under 9; kids 9 and up could enjoy it with parental supervision and discussion, but parents might want to watch this one ahead of time, before sharing it with their kids. Is Mowgli a human or a wolf? Or, in which ways is he each? Do you think that he belongs in the man village or the jungle? How can he tell? What’s a good response to Shere Kahn’s story? Why did he say it? How many different characters were like a parent to Mowgli? Just out of curiosity, Do they show the discovery of Mowgli as a baby in the beginning or is it a flashback scene? Also did they ever mention Mowgli's birth mother? Mowgli's discovery is a flashback scene (Mowgli sees it in Kaa's eyes while Kaa is trying to distract him so she can eat him). Mowgli's birth mother wasn't mentioned at all. This is a good discussion on adoption. Was Mowgli's mother mentioned in the original story (the book)? If so, is it just a habit of Disney retelling to leave out mothers? I noticed a trend in many Disney films that the original mother is often absent (Alladin, Chicken Little, Cinderella, The Little Mermaid).